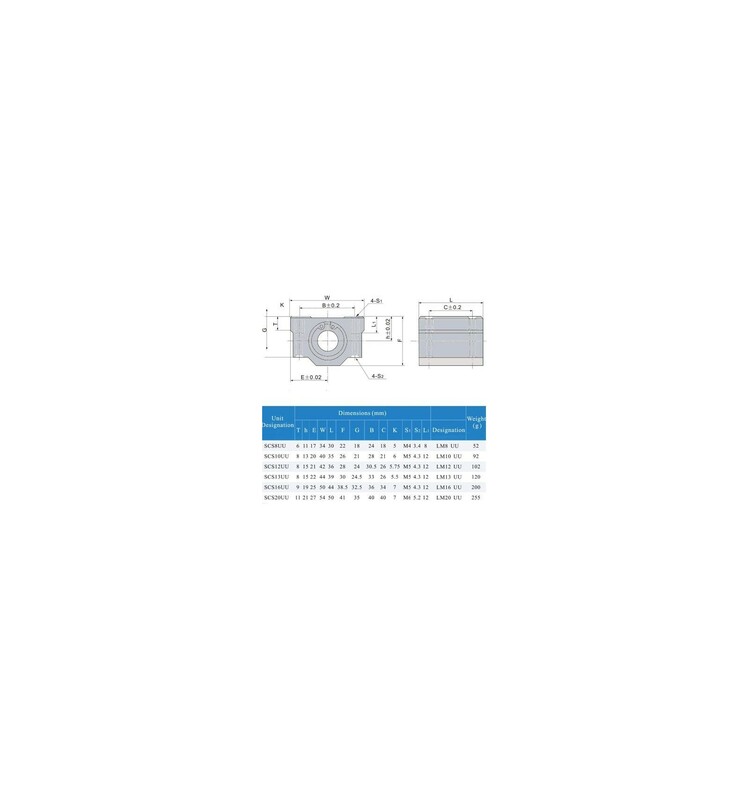 The SC10UU pillow block linear bearing is an extremely popular choice for precision CNC routers, mills or lathes. Used with 10mm linear shafting. 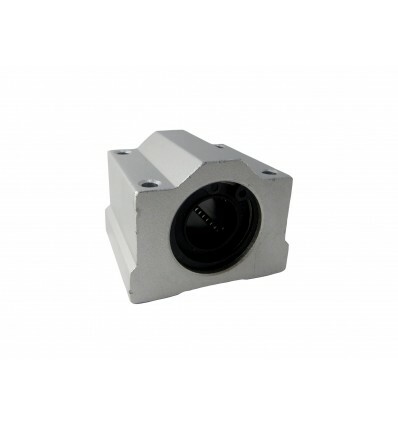 If you are making a CNC router, mill or lathe requiring precise linear motion, this SC10UU 10mm linear bearing housed within a durable aluminium pillow block mount is the perfect solution. The aluminium housing block is 40mm x 35mm in dimension and has four M4 CNC drilled, tapped, and countersunk holes, allowing you to easily and securely mount it to nearly anything. This SC10UU unit comprises of an aluminium housing and an LM10UU linear bearing held in place with two circlips. There are also two rubber seals on either end to prevent debris or contamination of the ball bearings. Advantages over bushings include less slop or friction, which results in less wear over time and better machining results. A typical CNC system will comprise or a 10mm linear shaft, mounted on either end by two end supports, with this SC10UU running along the shaft. Most CNC machines have two of these assemblies mounted side by side, using the SC10UU bearing blocks as mounts to support a moving platform. If you want precision and as little play as possible, we've got you covered with this bearing block assembly.